Picking up right where their 2012 hit film, which featured an all-star cast and swept the Hong Kong Film Awards, left off, Longman Leung and Sunny Luk present another suspenseful tale of corruption and double-dealing in the highest echelons of the Hong Kong police department, its two institutional halves at (cold) war with each other. On the operations side is The Other Tony Leung, a tough man of action, of the “break the law to enforce the law” type valorized in Hong Kong cinema since at least the mid-1980s. On the administrative side is Aaron Kwok, emotionless, calculating and fiercely determined to uphold the letter of the law. The two wage a Crimson Tide-esque battle of wills over a tense hostage situation, in which an Emergency Unit van and its five police officers have been captured by unknown criminals. Kwok wins out and assumes command of the force, and the second half of the film follows his investigation of the terrorists, leading to the arrest of Leung’s own son, played by Rise of the Legend‘s Eddie Peng, as the ringleader. But, in a cliffhanger ending, Peng’s accomplices demand his release: they have now kidnapped Kwok’s wife. Relentless director Wong Jing’s latest farce has less of a plot than either of the first two films in the series, and is even less tethered to reality, in action, story, setting or character. It’s a bunch of shiny effects thrown at aged stars of the 90s, old movie and TV references (Chow Yun-fat spends awhile thinking he’s in Heaven Sword and Dragon Sabre, a ping-pong match with Jacky Cheung calling back to Johnnie To’s The Eighth Happiness, a little joke about Nick Cheung’s award-winning performance in Unbeatable, a whole sequence set in a prison with leftover costumes from Prison on Fire, even the central romance is Jacky Cheung’s unrequited love for Carina Lau, ala Days of Being Wild, etc etc*). Of course the whole thing is a riff on the God of Gamblers series, with Chow playing a dual role as the original character and this newer farcical incarnation, kind of as if his amnesia-induced split personalities in that first film had developed into two separate realities. Andy Lau unites them (as he did the original series and Steven Chow’s parody of it), reprising his role as the Knight of Gamblers, but his performance bears no relation to that original character: he’s merely a vehicle for dumb slapstick jokes (a literal pie in the face, peeing baby robots) and inside jokes about Lau’s own career. It’s a movie that breaks into a song or an extended effects-driven bit of action, or a series of dumb mostly unfunny jokes at any opportunity. But there’s something liberating about Wong’s indifference to normalcy. *Movie loses a half a star because the two dying robots didn’t crawl past each other like at the end of The Killer. 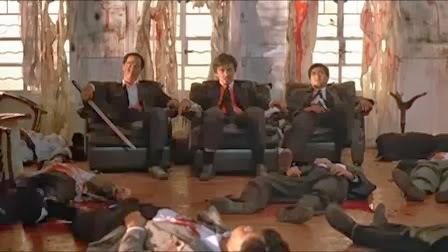 After an up and down decade as a director for hire in the last days of the Shaw Brothers, working alternately in the wuxia and wacky comedy genres, John Woo finally hit it big in 1986 when he teamed up with Tsui Hark and the Cinema City studio to remake Patrick Lung Kong’s 1967 drama The Story of a Discharged Prisoner. 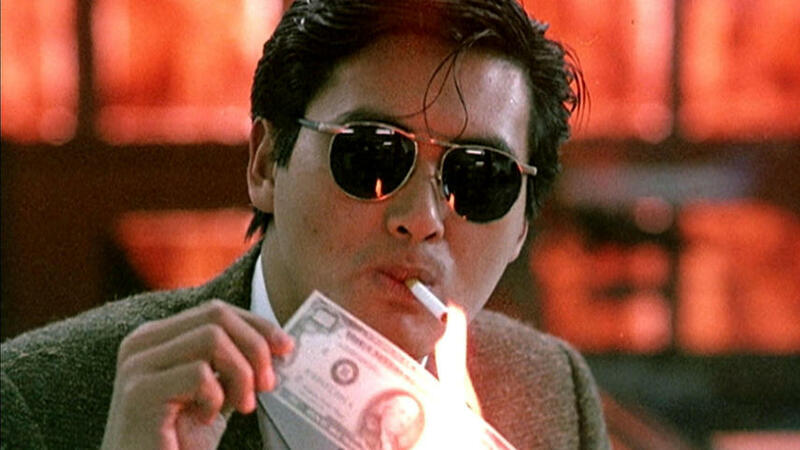 One of the most influential films of the past 30 years, A Better Tomorrow established the formal and thematic template for a new era of crime movie: everything that has followed, from Woo’s follow-up masterpieces The Killer and Hard-Boiled to the triad films of Johnnie To, to myriad international imitators, has in some way been a response to it. Its impact on the Hollywood film has been less specific but no less real: raising the stakes of athleticism and complexity in action sequences, the bullet ballet being much more adaptable to the limited physical skills of American actors than Jackie Chan’s kung fu.